Nandamuri Harikrishna's sons Jr NTR and Kalyan Ram rushed to the hospital where their father was taken. The videos of the actors arriving the hospital are being shared on the social media. 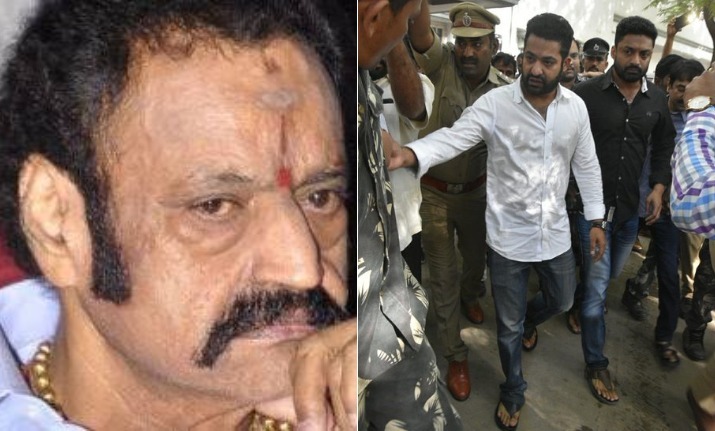 After the tragic death of Nandamuri Harikrishna, the son of former Andhra Pradesh Chief Minister NT Rama Rao, his actor son Jr NTR rushed to the hospital where N Harikrishna was taken after the accident. The former politician and the 61-year-old was father to Telugu actors Jr NTR and Kalyan Ram was involved in a serios car accident on Wednesday morning. The entire Tollywood industry is in a state of shock at his sudden demise. His sons Jr NTR and Kalyan Ram rushed to the hospital where their father was taken. The videos of the actors arriving the hospital are being shared on the social media. In some of the videos, the actor is seen in an absolute shock, trying to keep himself together. He is trying to wipe away his tears, while his brother stands by his side to console him. “If something were to happen to my father, I can’t imagine what that would be like,” he added. Harikrishna met with an accident at 4:30 an while travelling from Hyderabad to Nellore for a wedding. The accident took place at Nalgonda district, Telangana on the Annarpathi road near Narketpally. He suffer serious injuries and was taken to Kamineni hospital where he breathed his last.